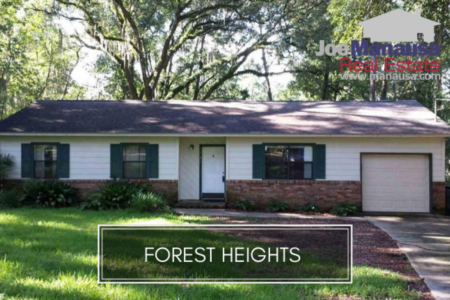 If you haven't seen the Forest Heights neighborhood in Tallahassee, I recommend you make a little field trip to see what a real estate investor's delight should like like. I recently looked at the list of homes for sale in Forest Heights and found several that would my investor clients a very strong rate of return over the next ten years. But apparently, I'm not the only one who has noticed. Home sales are getting stronger in the Forest Heights neighborhood in Tallahassee, and this year already shows to have more home sales than any year prior going back to 2006. Real estate investors have found that the combination of value, location, and strong rental demand make this popular community in the 32303 zip code a very smart buy. For example, there is a home listed for sale on Sharon Road that is priced the same as it would have been over 10 years ago, but rental rates are far higher. Investor yield in real estate is on the rise, and the Forest Heights Neighborhood in Tallahassee is centered on their radar. 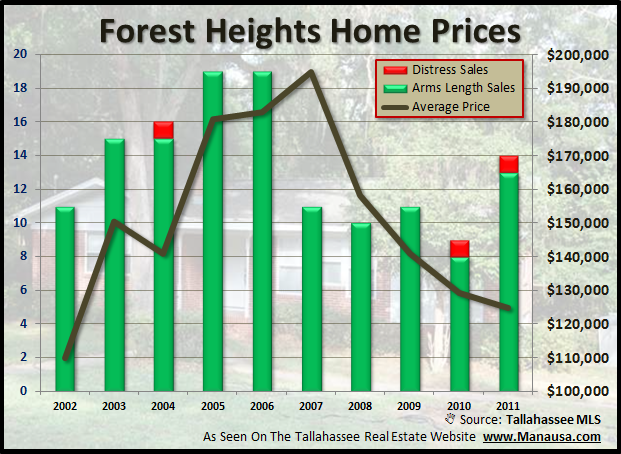 The average sales price of a home in the Forest Heights Neighborhood in Tallahassee continues to fall, which only increases the opportunity for high returns for investors. When we look at the real estate graph below, we see unit sales rising while prices are dropping, which usually occurs right before a change in direction on prices (read that to mean ... get 'em while their hot!). 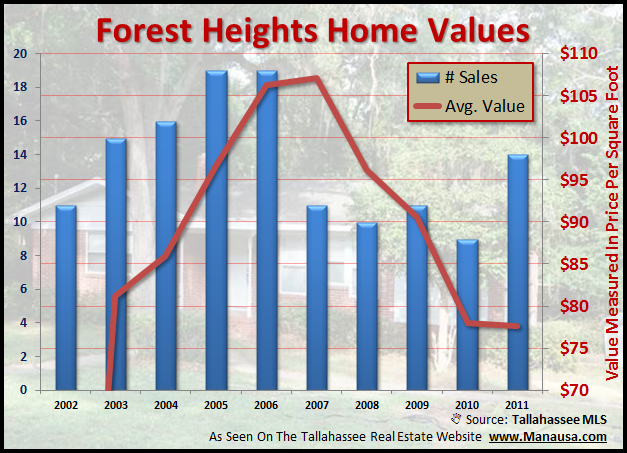 We can see the decline of home values in the Forest Heights Neighborhood in Tallahassee seems to have come to an end, as values have bottomed while unit sales are rising. This only confirms that now might be the best time to buy a home in Forest Heights. 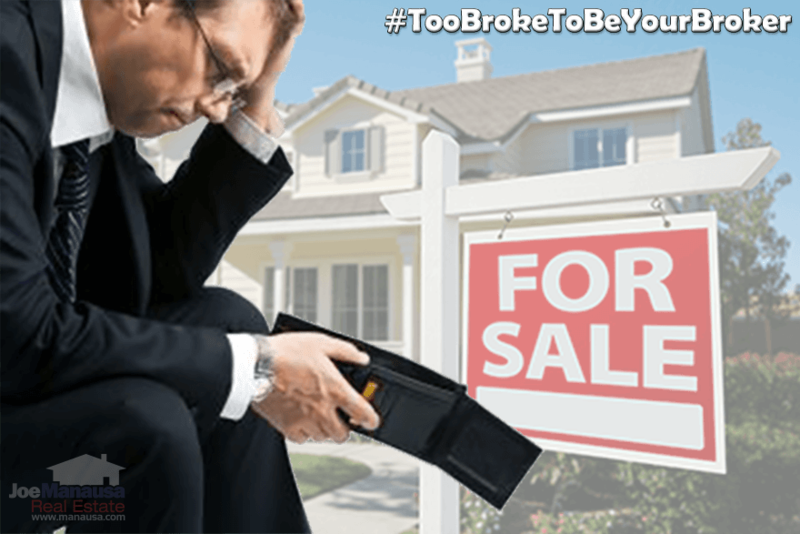 Is Your Agent Too Broke To Be Your Broker? The average real estate agent in Tallahassee will only sell five homes this year, and more than half will sell two or fewer. This means they do not earn enough money to spend the significant amount it takes to attract MANY buyers to your home. They certainly cannot spend the type of money needed each day to promote your home and generate the buzz you need to attract MULTIPLE buyers. We are effective. And we spend more money each month marketing our listings than most agents earn in a year. Let us show you how we can get your home sold for MORE MONEY than anybody else in the market! Please come back again to see more reports on the Forest Heights neighborhood in Tallahassee, as well as many others! This concludes our update on home sales in Forest Heights, please give us a call at (850) 366-8917 or drop us a note if you have questions about this NW Tallahassee neighborhood. People are talking, have you heard? Here's what thousands of people are saying about working with Joe Manausa Real Estate, you can see real customer reviews reported on Google, Facebook and Zillow right here: http://www.manausa.com/testimonials.